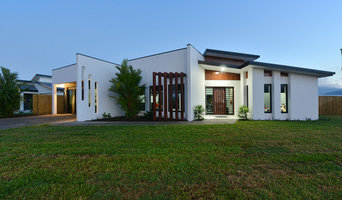 A residential home builder in the Cairns, specialising in unique, custom design building projects. At Tropical Trend Homes we pride ourselves on our passion for Tropical design and construction offering the finest Custom built homes. We take your wants and needs and turn them into a home with Wow factor. In every home we design we bring in the best of our North Queensland environment, by working on the strengths of our Tropical region. Our dedication, personalised service and honest integrity for building quality award winning homes makes the experience of building with Tropical Trend Homes easy and enjoyable for our clients. Our work ethic is the hands on approach; Patrick is on site throughout the build to ensure each home has the highest possible quality finish whilst staying on time and in budget. We Endeavour to exceed all of our clients’ expectations and desires in their home. We complement our homes with exceptional customer service; our clients receive one-on-one service throughout construction, as we strongly believe that communication and openness are key to clients being happy with their homes. At MV Designer Homes we pride ourselves on delivering superior quality, elegant, imaginative, value for money homes, whatever the budget. We also have 3D technology available to help your dream home come to life! MV Designer Homes is a Licensed Builder, a Member of the Master Builders Association & Housing Industry Association. With over 20 years in the building industry, our commitment to a “Hands On” approach is combined with handpicked master trades people & only the best materials from leading suppliers. Delivering a home you will love is our priority. We understand the importance of your peace of mind when building a new home, so our dedicated team is available to you at every step, from colours & fittings selections, throughout the paper work and during construction, we’ll even be there to celebrate handing you the keys. We deliver a level of client service second to none. We understand the importance of your peace of mind when building a new home, so our dedicated team is available to you at every step, from colours & fittings selections. We create exceptional homes and designs for all new builds and renovations. Unique, intelligent homes designed to suit you and your family. That's what we offer at Neocon Homes. Based in Cairns, our talented staff think outside of the box to incorporate your every design preference into a cohesive whole. You can trust us to maximise the comfort and aesthetic appeal of your home and to meet your budget. Whether you are after something modern and minimalist, or replete with old-fashioned warmth, Neocon Homes will bring your vision to life. Business manager. Designer and builder, Lisa Costa is committed to making the design and construction process as simple as possible. Lisa will work closely with you from start to finish to exceed all your expectations. With Neocon homes, the person who designs your home is the same person who builds it. Because of this, you can rest assured the process will be simple and straightforward. In addition to house design we also offer landscape and interior design services.. Our meticulous attention to detail is second to none, and there is no lengths we won’t go to, to create the bespoke home you have been dreaming about. Alternatively, if you have no specific style in mind, we can offer a variety of options to choose from, including existing plans. Our designs range starts from $200k plans up to completely customisable options. In short, if you can image it, we can build it! We specialise in being able to build on difficult blocks, including slopes and even cliff edges. To discover how Lisa Costa and the team at Neocon Homes can give you the keys to your dream home, be sure to contact us today at 0432 08 4781. 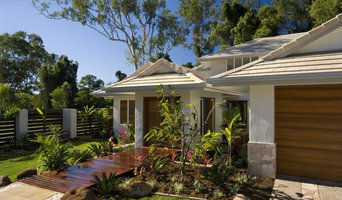 Liam Gilligan Builders has been established since 2006. We are a husband and wife team aspiring to deliver the best quality D E S I G N & B U I L D.
Established in 1982, Neater Constructions is licensed under the Queensland Building & Construction Commission with an Open Builder License 21788 for General Building. Our expertise and resources, together with team players and our Directors 43 years of key industry knowledge, ensures that we are equipped to command a diverse range of projects and provide elementary and practical solutions of the highest quality for our clients. Modern tropical sustainable homes cyclone rated architecturally and engineered design built by MiHaven, a social enterprise supporting Aboriginal and Torres Strait indigenous people providing training and delivering employment outcomes. A locally owned and operated company based on the Atherton Tablelands and servicing Cairns and the Greater Regions of Far North Qld. We put a huge emphasis on the importance of using QUALITY materials and suppliers, offering INNOVATIVE ideas and designs whilst providing an EXCELLENCE in service and workmanship. We understand the importance of affordability and are conscious to keep within our clients desired budget. We draw on our passion for building distinctively individual homes and are committed to provide a personalised service to our clients. Client satisfaction comes first always! 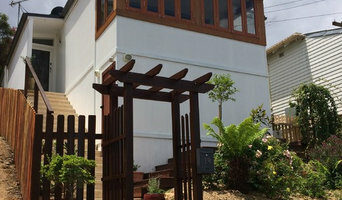 Our services cover all construction types including; New Homes, Extensions & Renovations including ‘Queenslander style homes’, Commercial, Concreting, Sheds, Shop fit-outs and Interior Design and Colour Consultancy. With extensive experience and superb attention to detail ROGA Building is a versatile and confident choice when it comes to your partner in your next project be it large or small. Choose us as your local Builder and never look back. Firms that can carry out both design and construction in Cairns, Queensland take on the combined responsibilities of an architect, draftsman, construction company and additional contractors, providing one point of contact for homeowners. Having one entity responsible for the entire design and build, from estimation to subcontracting and even post-construction, streamlines and often speeds up the project significantly. Having a unified project team can also help you avoid unforeseen costs and delays in construction. In addition, the homeowner only has to interpret one contract with the design and construction firm, and not with various architectural design and contracting professionals. However, depending on the firm, you may still want to contact an interior designer or architect to help create the exact look you want. Here are some related professionals and vendors to complement the work of design & construction firms: Interior Designers & Decorators, Landscape Architects & Designers, Architects, Photographers. Project management demands time, skills and an eye for both detail and efficiency. While many homeowners choose to manage their own projects, they can often regret their decision once the build or home improvement project is complete. Homeowners should carefully consider the time they have available to allocate to locating, hiring and eventually paying every contractor who enters the site. From certifiers to roofers, and even your draftsman, a firm that can undertake design and construction in Cairns, Queensland benefits from having all of these home professionals under one roof. 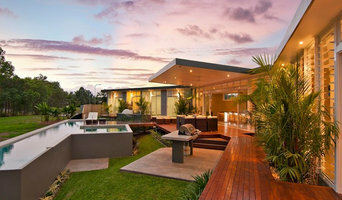 Find a Cairns, Queensland design-build firm on Houzz. Scroll through this page to find design-build firms in your area. You can browse recent projects, read reviews and message the firm directly. 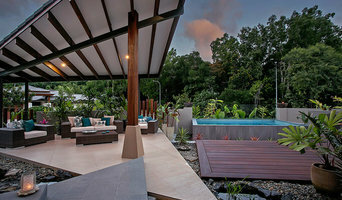 Another way to find a firm that can carry out design and construction in Cairns, Queensland is to browse Photos on Houzz. If there’s a photo you like, find out who designed and constructed it and strike up a conversation with the professional responsible.